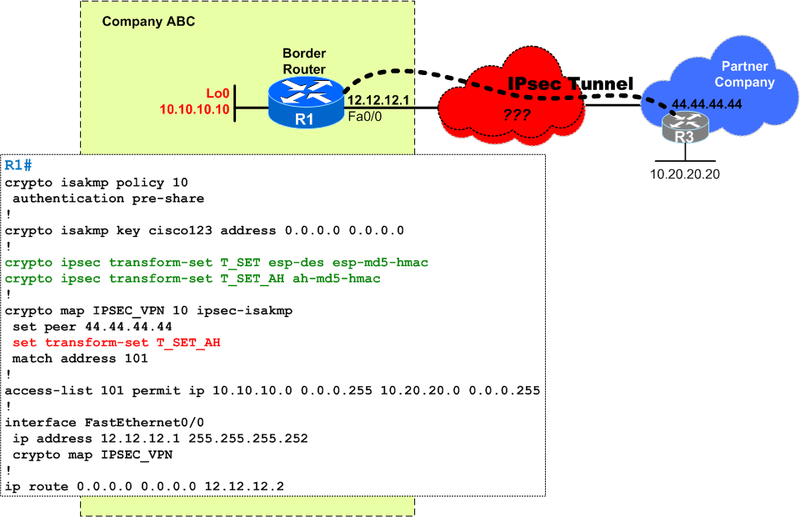 QoS Pre-Classify - Where to Apply the Service Policy ? How do ACLs handle fragments ? Pre-bestpath Cost Community – What is it? This post represents the solution and explanation for quiz-19. 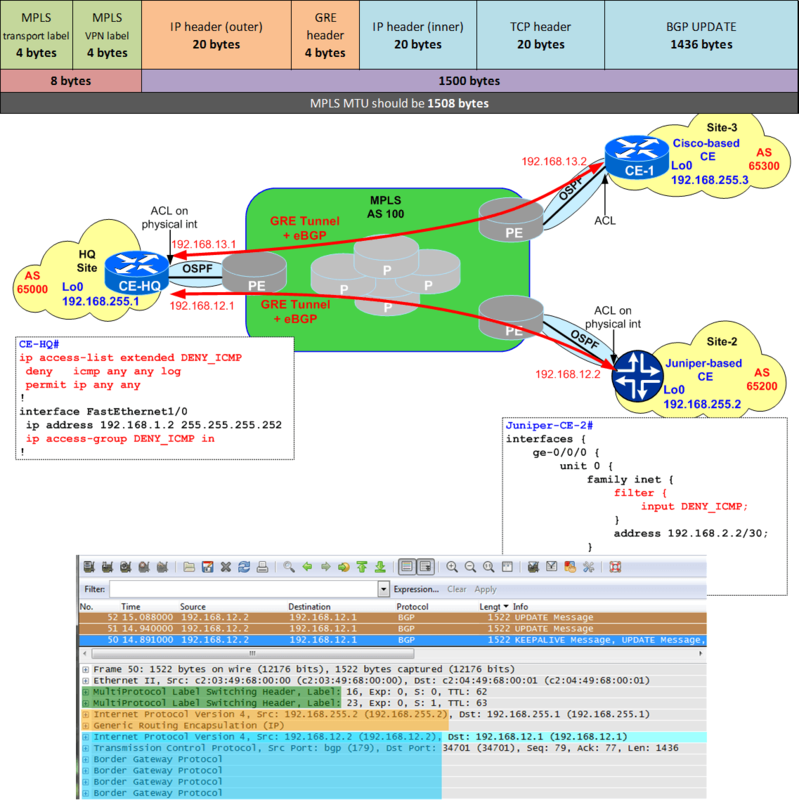 As shown in the quiz, a simple change of the MSTP configuration, for example changing the vlan to instance mapping, can immediatelly create short network cuts. Read along to see full explanation. 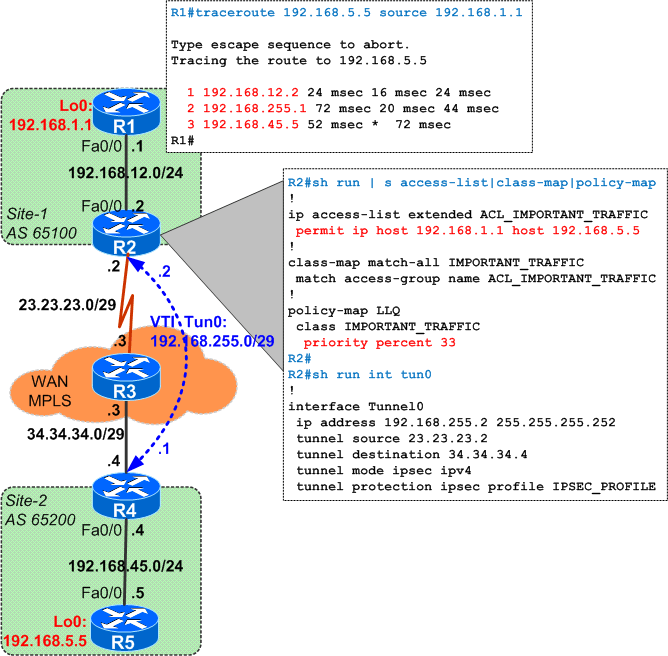 Quiz #22 – Policy Based Routing (PBR) Problem or Not ? Your company has 3 sites, each with a dedicated border router, R1, R2 and R3. Site-1 (R1) and Site-2 (R2) have their own internet uplinks, but Site-3 (R3) connects to internet via R2. A GRE tunnel is built between R2 and R3 and applied an MTU of 1440, due to some constraints in the transit network between them. 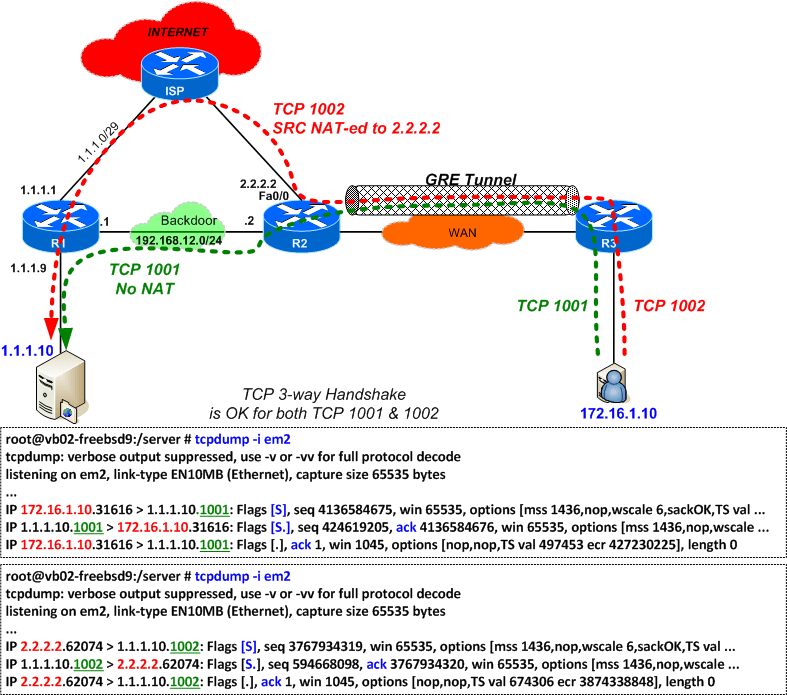 You notice that traffic between same pair of devices works for TCP 1001 but fails for TCP 1002. What's wrong ? 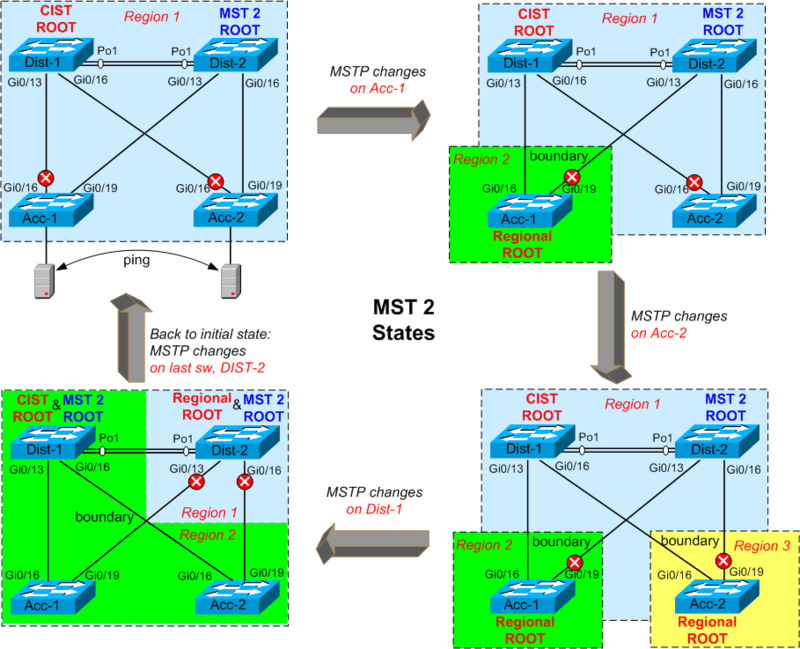 How Could MTU affect BGP Sessions ? This post represents the solution and explanation for quiz-18. It presents different MTU values, summarizes Path MTU Discovery and gives solutions to the quiz presented a while ago. Hello and Welcome to my blog in 2014 !! I'll start this year by reviewing some of the most commented quizzes in the previous year. Read here to get the Top 5 most interesting quizzes in 2013. You have just received a nice job at a big enterprise that has multiple sites connected over their own managed MPLS Core. 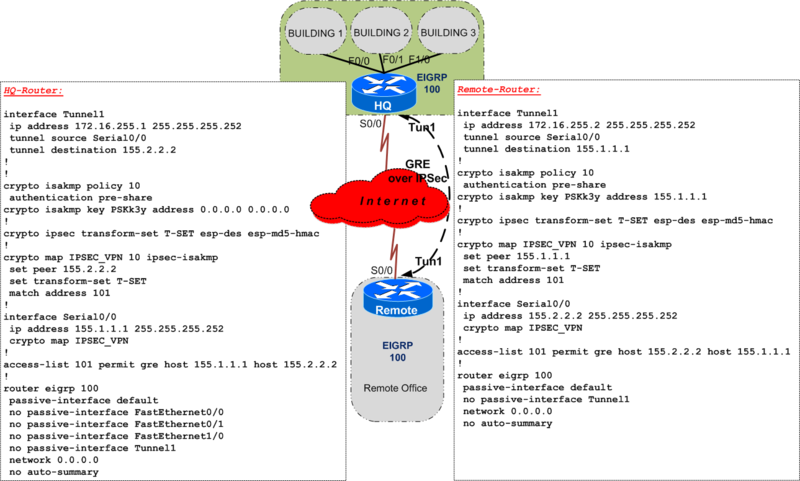 Each site runs EIGRP as the CE - PE routing protocol. You get the task to route some traffic in a particular way, but you cannot make it. What is missing ? This post represents the solution and explanation for quiz-17. For some temporary period of time, during network transition, your network consists both on Cisco and Juniper routers for the same role. 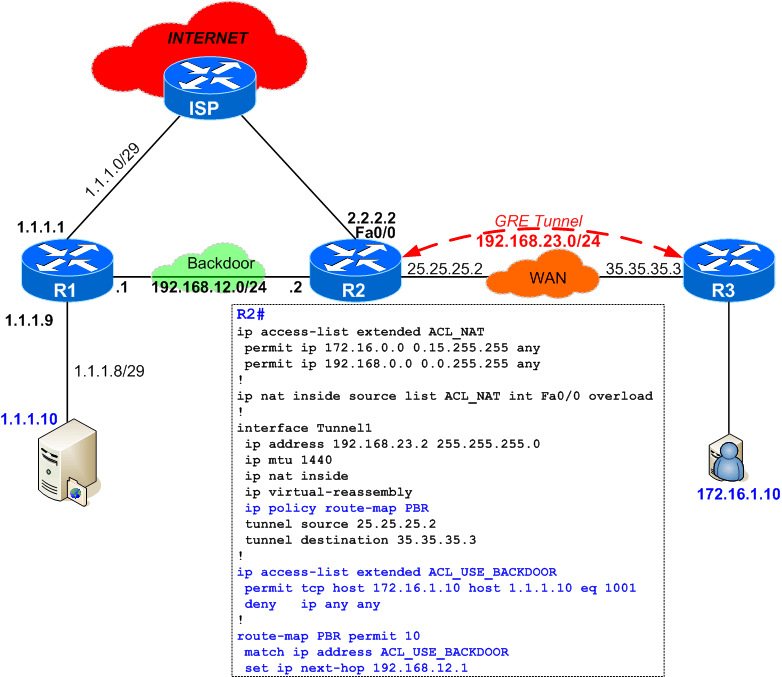 You will see that they behave differently when it comes to advertising inactive BGP Routes. 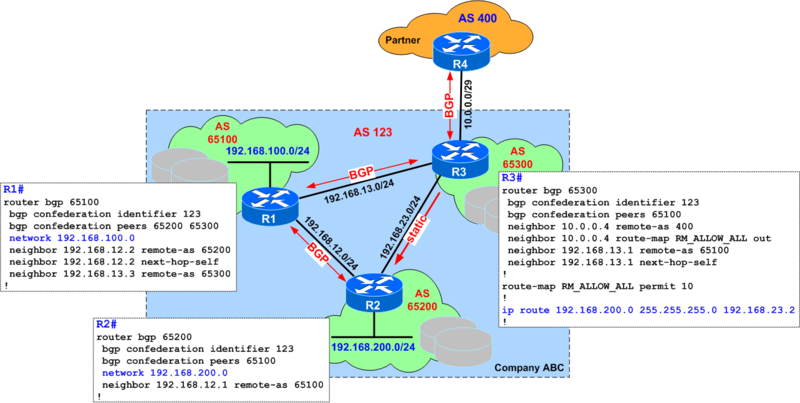 Your company has a border router (R2) that is connected to two partner companies: Partner-DB (R1) providing database services and Partner-APP (R3) that provides different application services to your web servers in DMZ (200.200.200.0/24). You are requested to configure NAT according to some requirements. This post represents the solution and explanation for quiz-16. 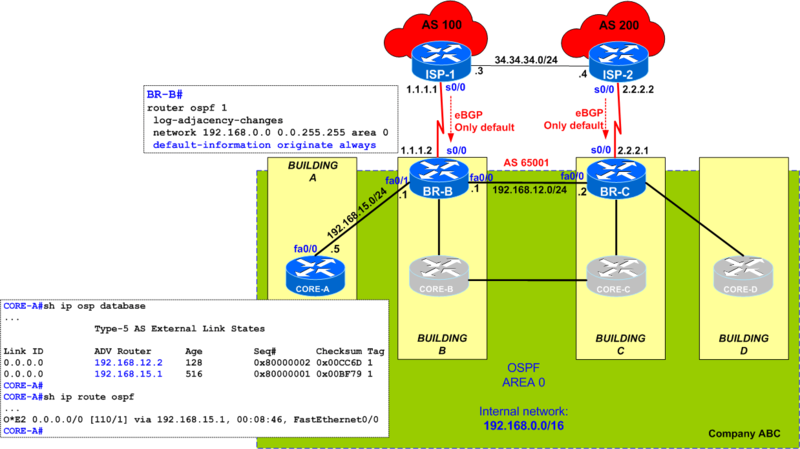 Advertising inactive BGP routes can, sometimes, depend on other conditions. This article presents some scenarios with inactive BGP prefixes, suppress-inactive and RIB-NH Matches. As a senior network administrator, you receive complaints from server team that yesterday there were multiple short network cuts that impacted some very sensitive applications running in the data center. You investigate and find out that one of the level 1 network engineers performed some network changes. What went wrong?